Accommodation - The Tally Ho! 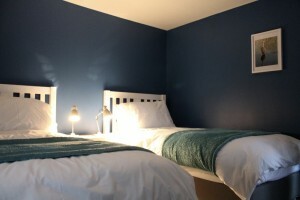 The Tally Ho has accommodation available, with three stylish en-suite letting rooms. These are available 7 nights a week, with the added benefit of a delicious evening meal in our cosy restaurant at the end of your busy day (excluding Sunday). The Tally Ho has a trio of rooms. Each has an en-suite bathroom with a bath and shower. 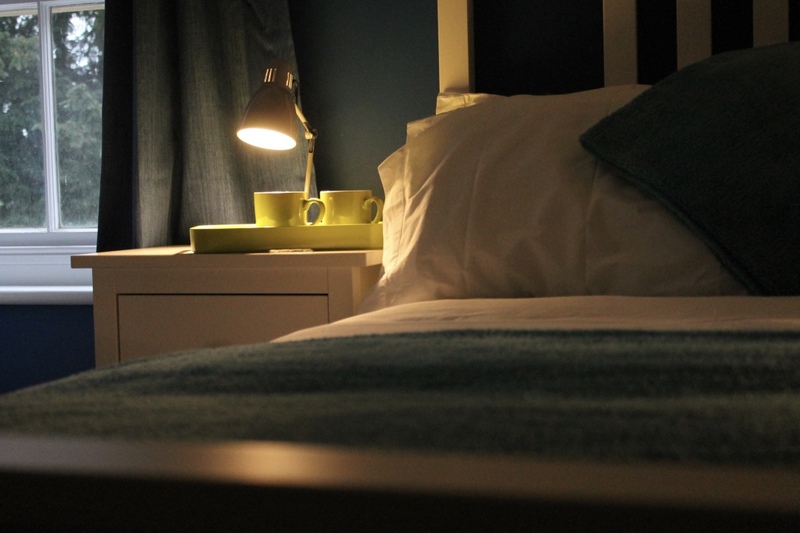 All windows have blackout curtains or blinds to ensure you get a good nights sleep. 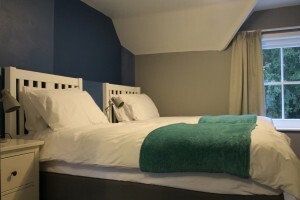 There’s also free Wi-Fi, TV, fridge, kettle and hairdryer in each room. We would rather give you a certain amount of freedom for your breakfast. If you need a very early start or maybe you’d fancy a relaxing lie in, a fresh continental style breakfast will be available in your room, so you’re free to leave whenever you’re ready, (but check out by 12 noon please, sorry!). Rooms are £75 a night, for the first three nights (including a continental breakfast). After that, £50 a night for the next 4 nights. A weekly cost of £425. There is a small additional supplement for a 3rd or 4th person in the family room. Please note that although all dogs are welcome in the bar and restaurant area downstairs, we only allow service dogs in the rooms upstairs.